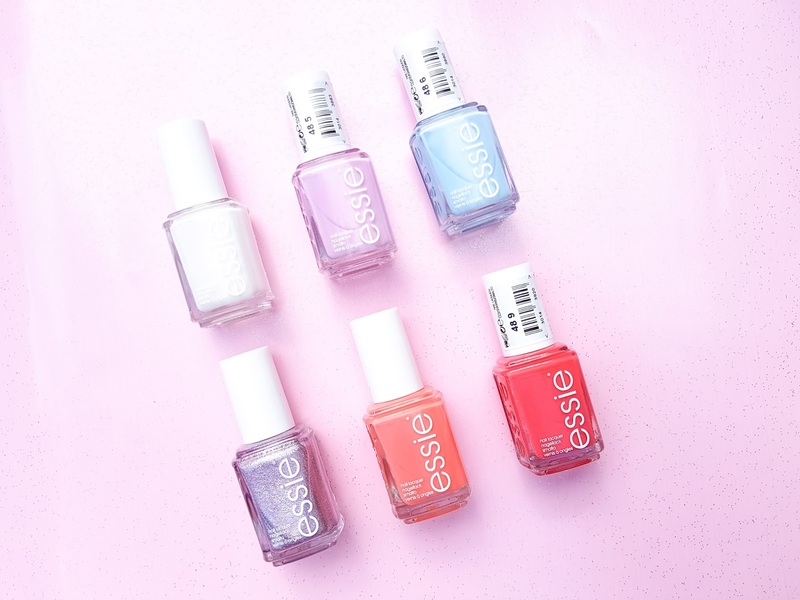 With 6, sweet new shades for the Essie Summer 2017 Collection that is inspired by sweet pastel and sugar confections. 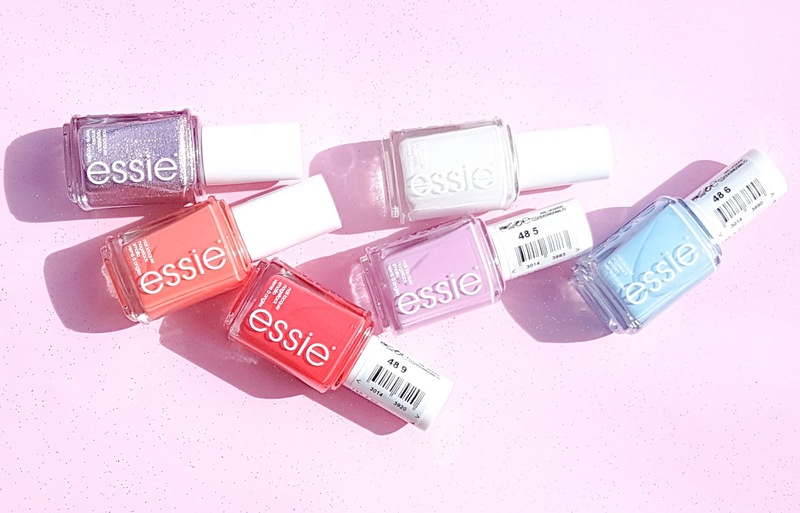 It's hard to not want to wear a new shade every week for the summer holidays. What I love personally about this collection is that each shade, I can see myself wearing until the bottles are empty. sweet soufflé - creamy white with a golden glow. For a full coverage, I will apply 3 costs. 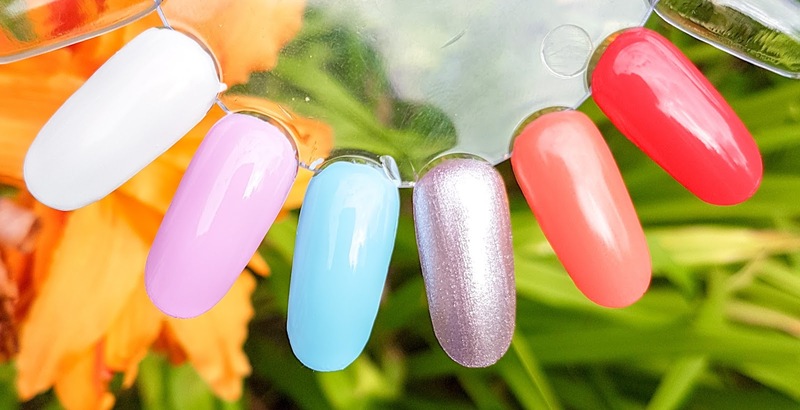 It's a different tone of white for me, it is not a solid white but it does have some metallic tones running through it, in bright light I can see almost a blue in the bottle, on the nails it has a orange pearl streak. baguette me not - sweet lilac with hints of pink undertones. Beautiful lilac tone, which I think will be my next nail colour. It makes me want to eat a sweet confectionary treat. blue-la-la - dreamy sky blue. A pure pastel blue shade that works well with 2 coats on me. I quite like blue nail polish when I think about it. I don't have many pure blue shades, It's a good addition. s'il vous play - fun, eye-catching metallic pink with a slight purple underneath. Love love love. When I was first playing with these polishes I wore this one an accent nail alongside sweet soufflé. Paired perfectly, even alone it's a must have. 2 coats for an even application and it wasn't a b-tch to remove like some glittery shades can be. It's not chunky glitter, It's an interesting formula. fondant of you - vibrantly sweet golden orange. Another like sweet soufflé, caught in lighting, there's a flash of colour running, this one has the golden shimmer. Takes 3 for a an even coat. Stunning shade. éclair my love - bright berry toned red. It's a perfect red for the summer I feel, it is vibrant and a slight muted red. Coral comes to mind when I stare at the shade. What shades catch your eyes during the Summer? What beautiful colours, they look like candies! I love the blue-la-la - perfect for summer. Essie is probably my favourite nail polish. It's the one that stays on the longest without chipping. What beautiful colours! My nail polish obsessed daughter would LOVE these!